When you come to Ravenswood Chiropractic for your physical therapy needs, you’ll experience a uniquely comprehensive approach to recovery that gets you back in top condition as quickly, safely, and completely as possible. In order to understand the blend of elements that makes our physical therapy program so effective, it may be helpful to understand a few distinctions and relationships, namely: the distinctions between stretching and exercise, and their relationships with chiropractic care. At Ravenswood Chiropractic, Dr. Renn and his team include both stretching and exercise components in every patient’s physical therapy program. This includes both in your sessions at the center, and in the personalized routines you’re given to practice at home. When you first come to visit us for physical therapy, Dr. Renn will conduct a thorough physical exam to determine your range of motion, muscle stamina, and muscle strength. Then using this data, he will prescribe a specific, personalized stretching and exercise program for you to perform at home. Normally, these routines will include stretches to restore flexibility and exercises to restore stability, with particular note paid to the “opposing muscle groups”, or the muscle group opposite the site of injury, in order to increase strengthen and support, so as to prevent any recurrence of the injury. 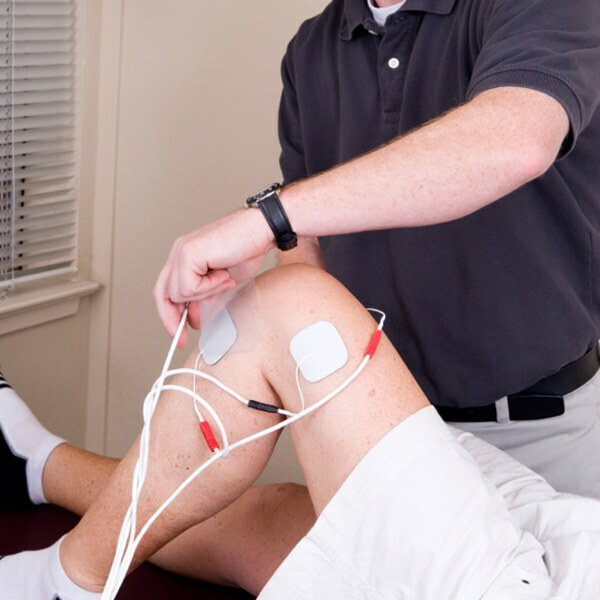 Each physical therapy program is modified individually for each patient’s particular injury or condition. Notice first and foremost that the above section title doesn’t say: stretching vs. exercise. Because despite the fact that stretching and exercise are two very different things, neither one alone makes for a complete physical therapy program, and both are necessary for optimal physical recovery and wellness. According to the Medline Plus Online Medical Dictionary, to “stretch” is “to extend one’s body or limbs,” particularly in length; whereas to “exercise” in relation to muscles means “to use repeatedly in order to strengthen or develop.” Stretching lengthens; exercise strengthens. So why are both so important? helps loosen and relax stiffness or tightness in the body, such as in the lower back or neck. (and if exercising with resistance or weights) develops and fortifies muscles, bones, and ligaments. While most of us have heard that stretching before and particularly after exercise is beneficial, keep in mind not to overdo it, particularly before exercise. Stretching excessively before exercise can make you more prone to exercise-related injury. That said, stretching after exercise will ensure muscle relaxation, facilitate normal muscle resting length, and improve circulation. So just stretch lightly before exercise and moderately afterwards. Most importantly, never stretch injuries. Consistent stretching can help prevent long term injury and help promote a more active, enjoyable, and fulfilling lifestyle. Despite popular misconception, stretching and exercising is not just for athletes – it’s for everyone! Particularly those recovering from a physical injury or condition. Without an adequate rehab or physical therapy routine, it is very easy for the body to become stiff and inflexible. Stretching after exercise will ensure muscle relaxation, facilitate normal muscle resting length and improve circulation. As it relates to your chiropractic care, when the muscles are flexible and strong, it helps the spine and joints to maintain the alignment regained from a chiropractic adjustment. Thus, through a regular practice of stretching and exercising at home in-between your sessions at the center as instructed by the doctor, you will help your body to maintain the benefits received in those sessions, improve upon them, and increase resilience against future re-injury. The Scientific Commission of the Council on Chiropractic Guidelines and Practice Parameters (CCGPP) reports that strong evidence exists that exercise is at least as effective in treating low back pain as other non-surgical treatments, and that moderate evidence exists supporting implementation of certain types of exercises in the workplace to reduce lower back pain and risk of lower back pain. Studies abound finding stretching and exercise effective in helping to treat both acute and nonspecific back pain, neck pain, shoulder pain, and certain other conditions. According to a 2012 study from The University of Johannesburg, the most significant improvement found in the subjects was after they’d received both Spinal Manipulative Therapy and went through a program of stretching. The study concluded that stretching aids in injury management and prevention of re-occurrence of any type.